To view the images, go cross-eyed until one image registers exactly over the other – concentrate on a distinct feature to find that register. TRy to relax and the stereo depth will increase. 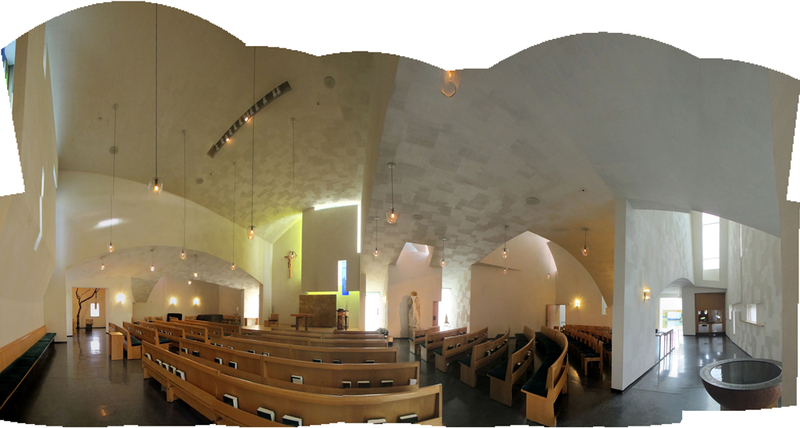 You will see three images – concentrate on the middle (stereoscopic) one. If you are having problems, make the images smaller. The top image is a good one to start with. 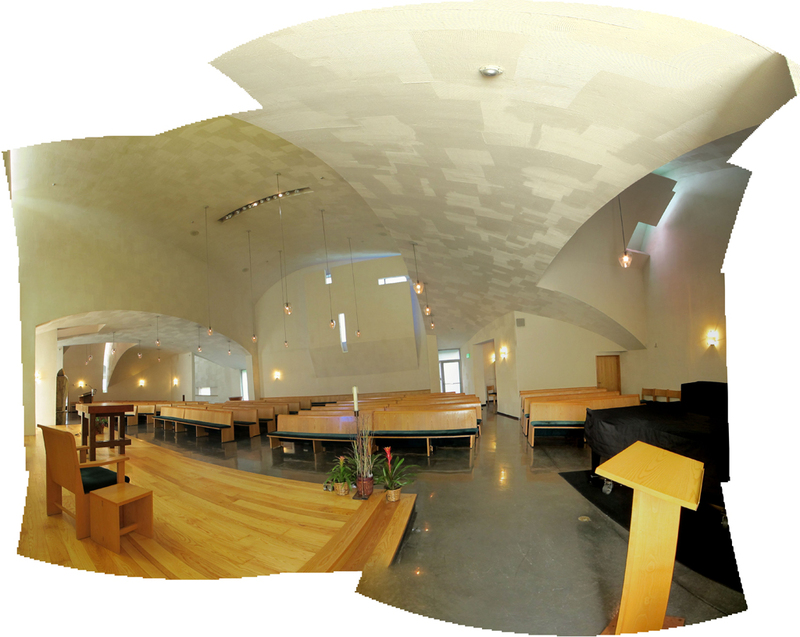 I am passing through Seattle and visited Steven Holl’s delightful Chapel of Saint Ignatius at Seattle University. 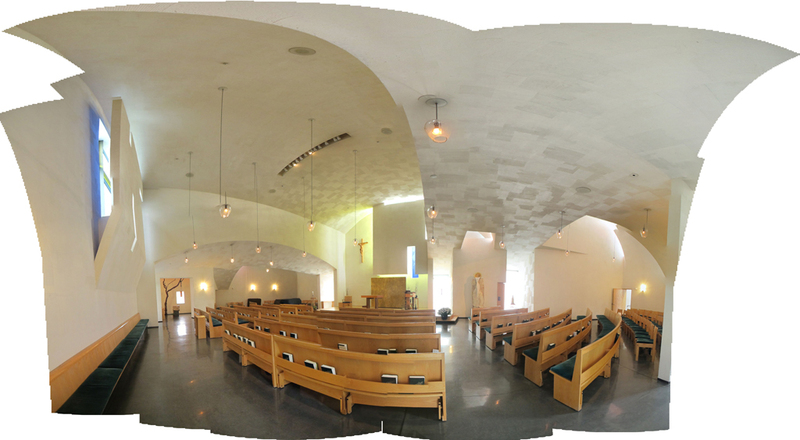 These are some panoramas of the interior – the stereoscopic pictures are much more revealing and I will put them together and post them in the next few days.